DI Accessories Reclosable Storage Bag - 24" x 24"
DI Accessories Reclosable Storage Bag - 16" x 16"
DI Accessories Detailed Image Kneeling Pad - 8" x 15"
DI Accessories Detailed Image Sticker - 2" x 3.5"
DI Accessories Detailed Image Sticker - 4.5" x 4.5"
DI Accessories Hand Strap - 6"
DI Accessories Water Sprite - 720 Sq. In. 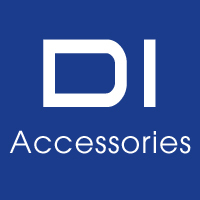 DI Accessories One Pass Soft N Dry Waterblade - 11"
DI Accessories One Pass Superflex Waterblade - 12"